While doing promotion for his latest film, Django Unchained, Tarantino appeared on The Late Late Show with Craig Ferguson to talk about movies. Tarantino told Ferguson that, while making Django Unchained, he didn’t have enough time to watch new movies in the theater, but he did have an opportunity to watch Ridley Scott’s Prometheus. Watch the video below (jump to the 4:45 mark to hear the sci-fi talk). What If Ridley Scott Directed A Star Wars Movie? Over the last month and a half, the entire Internet has been overrun with news about Disney’s acquisition of Lucasfilm, and the newly announced Star Wars movies. And when it wasn’t speculation about who would be involved, it’s been a barrage of good and bad Star Wars/Disney Internet memes. It’s kind of refreshing to find a Star Wars video that has nothing to do with Disney. Like this video, which posits the idea of Ridley Scott directing a Star Wars movie. The result is an Alien/Star Wars crossover that really makes you wish Star Wars was this dark and haunting. Much was made of Ridley Scott’s return to big-screen science fiction with this past summer’s Prometheus, and while that film disappointed many, I still believe Ridley has another truly epic SF movie in him, if given the right script. Many of Prometheus’ problems originated in the script, both the Lindelof version and the earlier Alien: Engineers draft by Jon Spaihts. 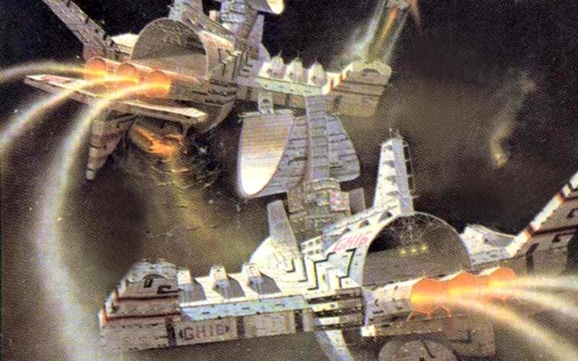 Another promising project on the horizon for Scott is an adaptation of Joe Haldeman’s Hugo- and Nebula-winning The Forever War, and now the project has hired writer D.W. Harper to pen another draft of the script. 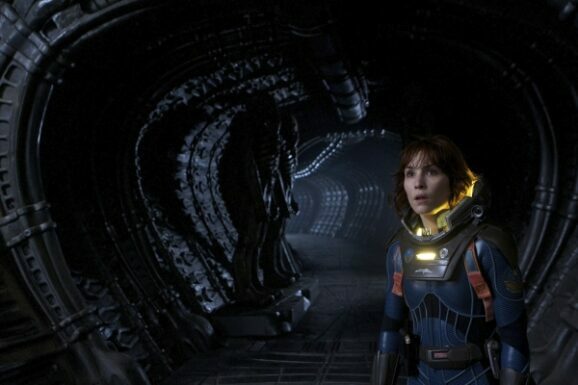 We still don’t know much about Ridley Scott’s upcoming film Prometheus. While Scott himself has said that his next film(s) would be set 30 years before Alien and explore the origins of its creatures, everyone involved with Prometheus has been trying to work against this notion lately. The space marine subgenre of first person shooters has been ripping off Alien from the start. Bungie, the creators of Halo, have often cited the film as a huge influence on their series. If you’re going to do a space marine FPS, why the hell wouldn’t you get on board with the franchise that started it all. If you’re Gearbox Software, you do just that. Aliens: Colonial Marines is shaping up to be a solid shooter, but it’s the clear love for the franchise that has me excited. I still remember watching Alien as a (much too young) kid with a friend. We were in the midst of a horror phase and ran through most of what the local video store had in that genre. So with no more movies about dudes with drills on the end of a Stratocaster, we ventured out to see what mainstream horror flicks were around. Before seeing the film neither of us had any idea how important or amazing Alien is as a sci-fi horror movie. Gearbox appears to respect the franchises place in sci-fi horror history based on the trailer below. Taking place between Aliens and Alien 3, Colonial Marines follows a squad of marines answering a distress signal coming from an abandoned ship near LV-426.